Compatibility Quantec Controllers with a firmware revision number of 10A9 or above. Contact your account manager if you need to upgrade. Indicators Power (lit when powered); Run (turns on after initialisation and when running); Link (blinks on data transfer); Error (lit when a network error has occurred). Connections (1) Ethernet RJ45 CAT5 to internet (2) RS232 serial port to Quantec main board, cable supplied (3) 24V power connector, connect to 0V & 24V on Quantec main board. 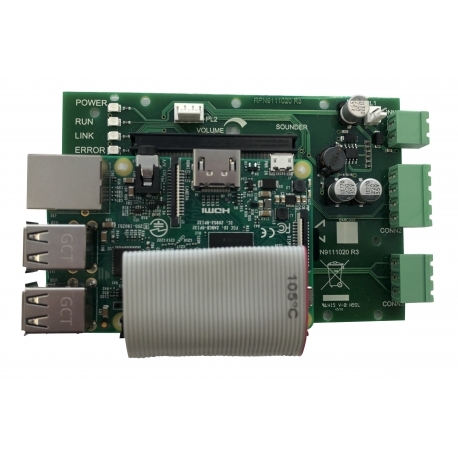 One QTS2/5 'IOT card' is required per Quantec Controller. Service Providers can then upgrade the number of mobile connections required on the system via their Provider account. The ony item that needs to be purchased in the first instance is the QTS2/5. Please note, the Quantec Controller's firmware must be version 10A9 or above. Contact your account manager if you have an older version. Prices are correct as at 1/2/2019. 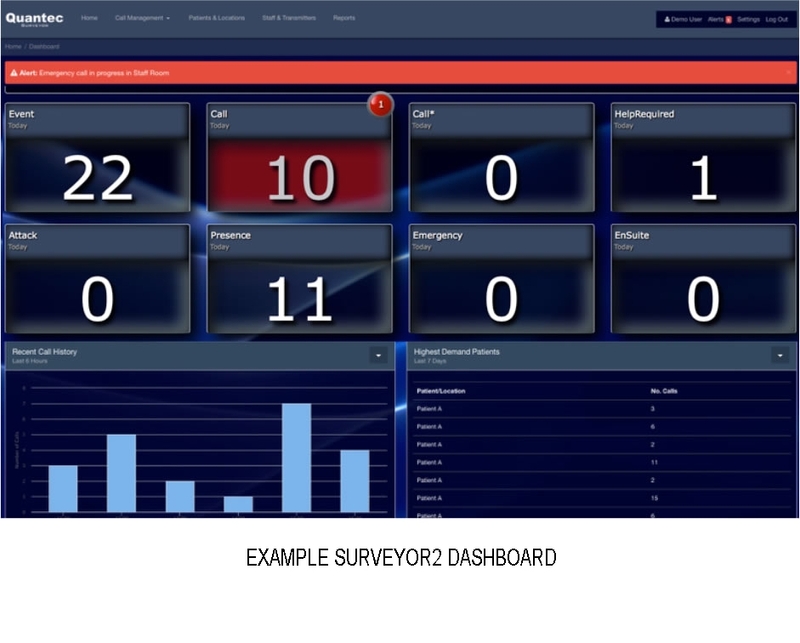 Available now - a new version of C-TEC's Quantec Surveyor data management software complete with user configurable dashboards, key performance indicator (KPI) settings, remote access capabilities and more. Surveyor II has been designed to help healthcare managers and building owners take tighter control of their care facilities. If used to its full potential, Surveyor II will provide care facilities with a verifiable audit/evidence trail for relatives, staff and Care Quality Commission inspectors and will help improve staff efficiency, reduce operational costs and potentially save an organisation thousands of pounds. 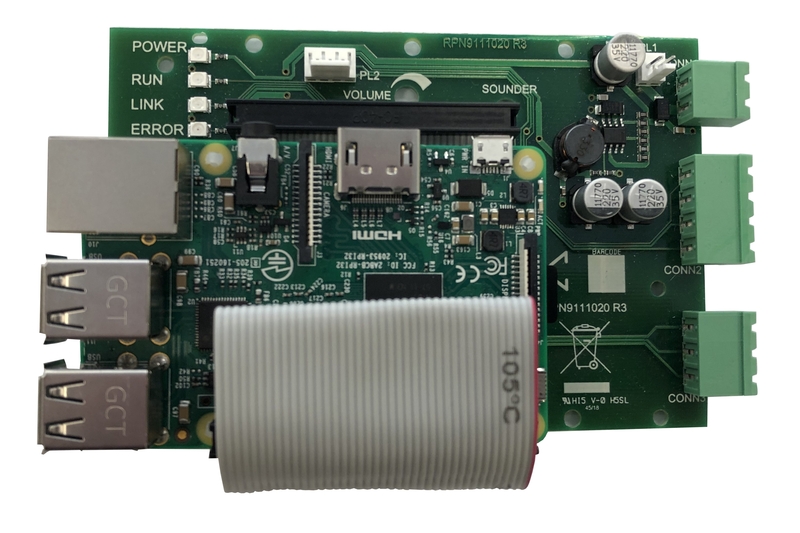 A secure Cloud-based system that is accessible on or off site, all you need is a Quantec Addressable Call System, a TCP/IP interface board with a data connection to the internet, a PC or other device with an internet browser and away you go. With additional options for emailable reports and push or text messaging to mobile devices, it truly is the future of call system data management software. User dashboard gives an overview of 'live' call system activity to make you aware of potential issues before they become a problem (e.g. calls that have breached their target response times). Example of a user dashboard – Call 'widgets' will illuminate red if an active call has breached its target response time. The red priority alert bar at the top of the page is user configurable to highlight specific events as the user sees fit. 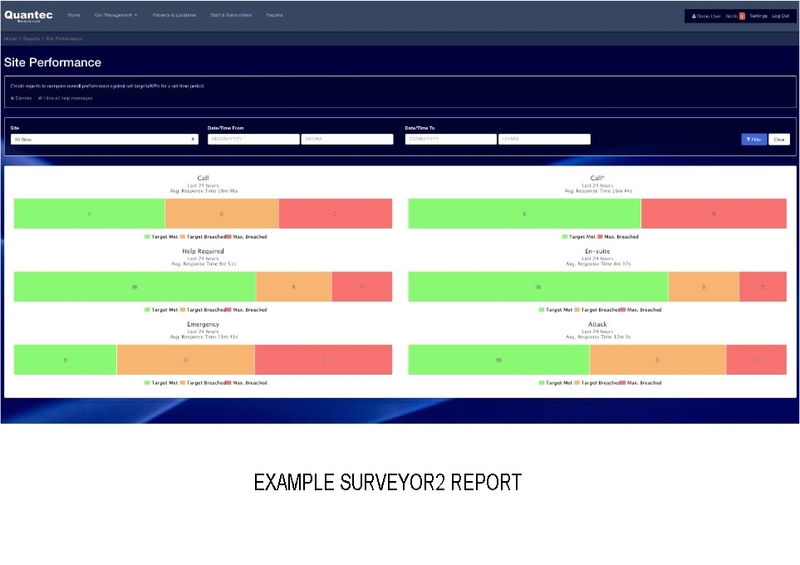 Example of the KPI (Key Performance Indicator) settings page - Surveyor II allows users to set targets for call level responses, i.e. the site's standard call target response time may be 3 minutes minutes, its max response time for standard calls may be 5 minutes. Different response times can be set for different call levels. Example of a site performance report calculated using a site's KPIs - the more green shading the better as this shows KPIs that were met. Amber shows calls that have gone past the target response time but are less than the max response time. Red shows calls that have breached the max response time. Example of a patient's call system activity over a 24 hour period. This is shown visually in a graph and in text. The more activity by a patient, the 'busier' the graph will be. Each call level is colour coded. Busiest patients and locations - Surveyor II calculates the total time staff have been engaged with a patient (this is from the moment a call has been answered until it is reset (e.g. it also takes into account presence time). This will allow homes to identify their most demanding patients. Example activity by hour of the day report - Surveyor II maps all call system activity by hour of the day. Example Care Quality Report – gives a snapshot summary of the quality of care being provided by the care facility based upon set targets.